Looking for mother daughter bonding ideas? 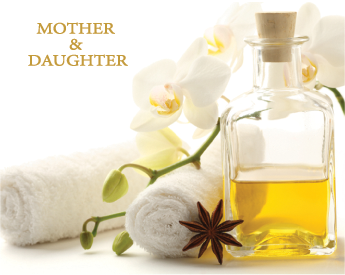 Enjoy a mother and daughter spa day that will not soon be forgotten. Spa breaks for a mother and daughter are important. So indulge! This package includes a side-by-side pedicure and manicure, then your choice of either our customized facial or back massage. Due to the intricacies of this package, we ask that you contact the spa directly at 843-266-3619, Monday through Friday, 10am to 6pm, to plan your spa retreat.